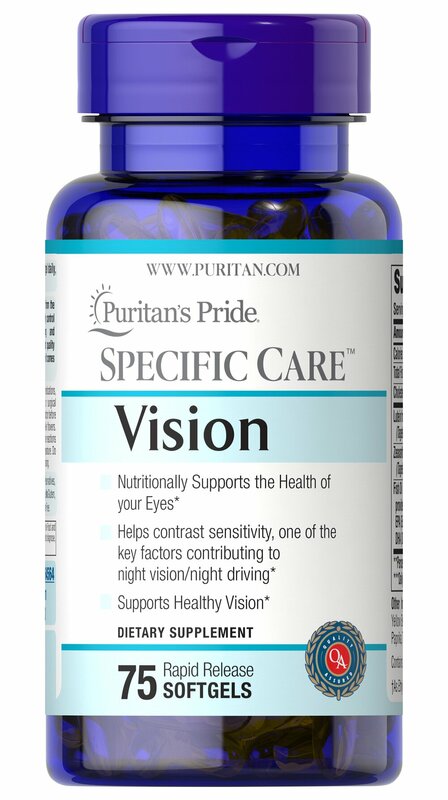 The Lutein in this Specific Care dietary supplement supports eye health and healthy vision. ** It also helps contrast sensitivity, which is one of the key factors contributing to night vision and night driving. ** This formula also contains Zeaxanthin. However, Lutein is not made in our bodies and must be obtained from our diet. Zeaxanthin is a human carotenoid naturally present in the central area of the eye's retina. This central area of the retina is called the macula and is the area of the eye that helps enable us to see fine details. Zeaxanthin is selectively placed in the macula's foveal center, which is the area in the eyes responsible for sharp central vision.